One common instance of mortgage fraud that many people are unaware of are things like undisclosed kickbacks. This can include paying the home seller money to fund a repair that isn’t listed in the purchase contract, addendum or estimated closing statement. That might not seem like a big deal, but technically that is considered mortgage fraud if the mortgage lender is not made aware of it. 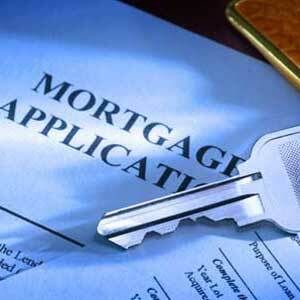 Any falsifying of income from employment can be considered mortgage fraud. Self-employed persons with income that is often more difficult to verify were the original audience for stated income loans. However, many employed borrowers now inflate their income beyond what is noted in their W-2. Again, this is mortgage fraud and can be taken very seriously. If you are not planning to live in the house that you are purchasing, but you are claiming that you will, you are committing mortgage fraud. Often, lenders give lower interest rates and better deals to people who are planning to live in the home they are purchasing, because it is less of a risk for them to do so. To lie and claim occupancy in order to get that better deal is mortgage fraud. If you do not have an earnest money deposit and claim that you did pay one outside of escrow in your purchase contract, that is also an instance of mortgage fraud. The same if you attempt to falsify a purchase contract by putting a higher cost on one and sending it to the mortgage lender in the hopes of getting a higher appraisal. If you think that you are being asked to take part in a mortgage fraud scam, it’s important to either approach a trusted real estate lawyer or the FBI in order to protect yourself and your investments. Mortgage fraud is a crime.